Walk into our hotel and walk into another, brighter world. Take a seat by the fire and watch what's going on. A chattering family off to the beach, children heading off happily with the go kids club and one happy Mum heading to the Cedar Spa for a well deserved massage. Award winning Westport, the current Tidy Towns title holder, is full of interesting shops, cafés and pubs. Nearby are a host of tourist and sporting attractions and activities just waiting to be discovered. The hotel has its own stables and horse trekking, especially on the beach, is very popular with guests. 3.5 Stars. Nice clean, comfortable hotel, great for a family getaway, large reception area to sit down and have a coffee, bar spacious and inviting to all, great pool for all ages. Rooms decent. Bar food was disappointing and too expensive for the quality, so we just had breakfast each day, which was fine, after first evening we found elsewhere in Westport for evening meals, which were all lovely,, I would return with my family. Wonderful Hotel, will definitely return. food staff rooms and facilities top notch. Had a lovely time here. Food lovely in restaurant, just enough. Plenty of choice for breakfast. Had enjoyable night at the bar staff great fun. Leisure centre lovely and very clean. Will definitely be back. Really friendly hotel, spacious rooms and good food. We enjoyed our stay. Hotel and room were very comfortable and staff were very friendly. No complaints what so ever. Wonderful hotel great pool & brekfast lovely. Had a lovely stay here ..food was OK ..rooms were nice .. Stayed in Westport Woods for 2 nights. Check in was good and Reception staff friendly enough. The room was a little dated and could do with being revamped but clean. Breakfast times was listed for 8am start however, when we went down at around 8.20am they did not have all the hot food out. We booked the restaurant for dinner that evening which was included in our package. We were shown to our seats and after some time had to ask the restaurant manager for bread which we did not receive and had to ask a second time and eventually received that. We also ordered wine and again had to ask a second time for our wine. The starter was lacking in sauce and again we had to ask for more sauce. The main course was ok but I would not rush back to the restaurant again. We went to the bar for a drink later and asked for a dash of lemonade with vodka but we are still waiting for the dash!! we had to go and buy a bottle of mixer. Bar staff not friendly at all. This hotel is fine, could do with a revamp as the room we stayed in had a bit of a musty smell in it. Bit cold in the room too. Bit outdated. More suitable for hens and stags. Seemed to be a stag there the night we stayed and could hear shouting at some stage in the night as they were heading down the corridor. Staff were friendly. Breakfast was fine, had good selection. Was fine for an overnight stay. Would not be rushing back to this one. Although we arrived early one of our rooms was ready so we were able to check in. The rooms were well equipped, clean and comfy. The staff were very helpful especially when one of our party became ill. Check out was painless too. Top class hotel, close to town, nice rooms and good breakfast. Everything you need! Lovely Hotel - Room was a little on small side for our group 3 Adults and 1 child, i had booked a family room but was only given a twin on check in. food was lovely, staff were very nice. will return. The hotel was very easy to find once you realised that Westport has a one way system. The grounds are beautiful and there's plenty of parking on both sides of the entrance. The reception is very bright and airy. The staff were very friendly and helpful. The room had all modern conveniences and was very comfortable and the shower in the bathroom was easily managed. My only bone of contention was that there was no snacks to buy in the bar and the barman/manager said he would try to get us some cheese and crackers but forgot about us - but not a major issue. I would certainly go back again. Stayed for one night to meet up with relations that were on tour from Wales. Very pleasant stay all staff extremely friendly and help full ,nice clean room good breakfast and we ate dinner there which was very nice and great service. beautifully located would stay again. Hotel and facilities were excellent, staff were very helpful. We booked a family room and it was spacious and very suitable to our requirements. Would highly recommend and will return on another visit. Lovely hotel, good pleasant staff, excellent food and great value for money. Excellent hotel. Really enjoyed our stay. Friendly, efficient staff. 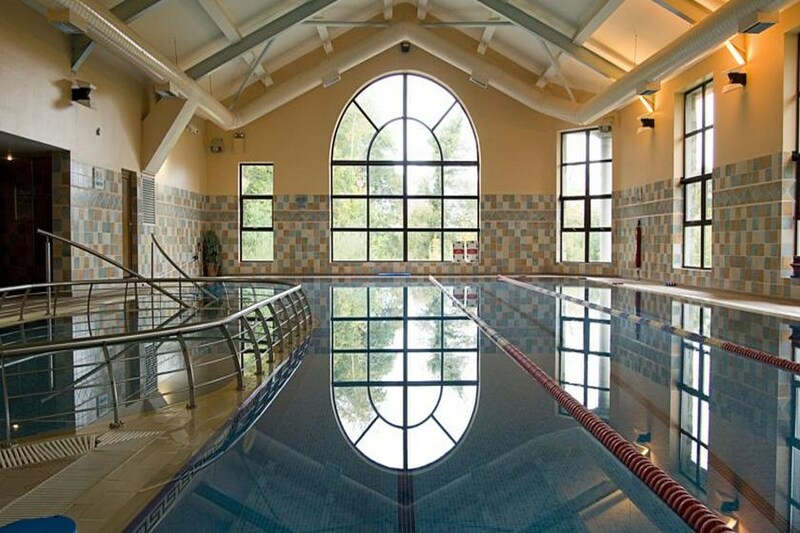 Excellent gym / swimming pool facilities. Recommended. Beautiful setting and grounds. Walking distance to the town centre. Good WiFi. Large comfortable rooms with lovely breakfast. Staff were very helpful and friendly. Got off to a bad start as our reservation was not registered, accommodation staff got our rooms ready at short notice but apart from that it was a lovely relaxing hotel, good food and nice clean leisure club. I definitely would go back. Great hotel, lovely warm pool, unfortunately we didn't arrive till late but perfect hotel. We stayed in this hotel for a 2 night stay with one evening meal. When we arrived the hotel parking was quite busy which was a good sign! We were given a room on the ground floor, it was big, windows couldn't really be opened because they were very big and on the ground floor, would be easy for someone to get in! Tv had a good few stations but reception was only really good on one/two so we couldn't watch the rest. the bathroom decor was a little out dated but it had toiletries, and was clean and practical! The bed was extremely comfortable! best bed in a hotel I've stayed in in a long time! i did find it very hard to open the room door from the outside but that was probably just me! We had dinner on the first night in the hotel, while the choice is very limited (restaurant) the food was delicious and portions were very big, we went for the fillet steak and it was cooked just as we asked. the staff in the restaurant were very helpful also. we had breakfast both mornings and the buffet has a good selection, hot food, cereals, fruits and breads. we enjoyed our breakfast both days! the hotel is a bit of a walk from the town, we didn't walk it but coming back from the town it is up a steep hill! we didn't use the leisure club so i cannot comment on that. overall we would definitely stay in this hotel again, it was very good value for money for a lovely town like westport! Thank you for a great stay we enjoyed it imensely the kids enjoyed the pool and the food and drink was fantastic we will definitely return . Hotel location good, nice grounds. The hotel was very comfortable and good facilities. Food could be improved on. Dinner menu very basic with little flavour and imagination. Breakfast was a workout in itself as one had to ask for items such as eggs, no sauces or jams on the table, by the time you discovered this you did not feel like getting up again. I felt sorry for some of the elderly in the hotel, whom I met out walking, as they did not ask the staff for the basic items. Staff overall friendly and helpful but the morning restaurant staff gave the impression that the guests were a bit of an inconvenience. We went on a family break for 3 days. I had 2 kids under 2. The staff went out of there way to help us. They were very friendly. We ended staying another 2 days as we enjoyed it so much. This hotel is very well situated between the harbour and the town of Westport..modern and clean with good facilities (pool, jacuzzi, sauna). We stayed 2 nights and enjoyed our stay even though there were a few minuses. Breakfast was cold (we were in dining room at 9.30 and 10.00 and breakfast was being served until 11.00) Also they were out of eggs when I got there on the first morning...mentioned to one of the staff but never came back. Also, staff seemed somehow dour and unhappy...not a smile ...except for one gentleman in the dining room on our second morning who was friend,y and chatty. Everything was great except for the tour groups. Had to wait some time for a hot breakfast as the tour groups had been in ahead of us and the staff could not keep the food topped up. 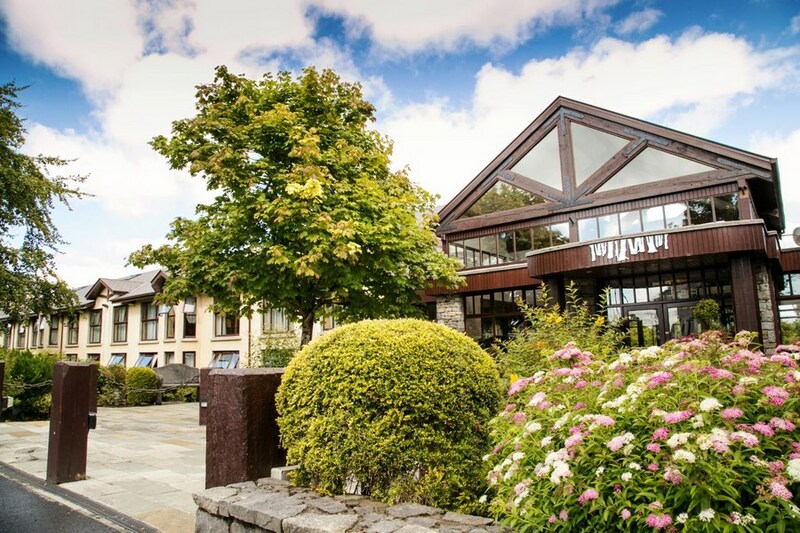 We holiday in Ireland all the time and it is the likes of us who kept the hotel business going through the hard times, but we seem to suffer when the tour groups are in town. Really friendly and great value. Can't beat location and just ideal for the relaxing stay after completeing the Westport / Achill cylce with great pool and spa. Hope to be back before end of the year! we had a lovely pleasant weekend and the breakfast was lovel, and it was also served until eleven am which i thought was great. Anything we wanted we just had to ask and we wetre granted immediatly. The room was lovely plenty of space and storage. On one of the nights we tried the barfood and found it nice good size portions. its about 1k into town handy enough walk but not so hany coming back as it is a hilly walk. Its worth it to visit Matt Molloys and enjoy the great sing song live music and its like being in somebody's front room brilliant. Any i love westport and i imagine i will go again before too long. All in all well recommended good experience. Very enjoyable weekend at the Hotel. A 20 minute walk uphill into the town. Room was big and perfect for 2 adults and 2 children. 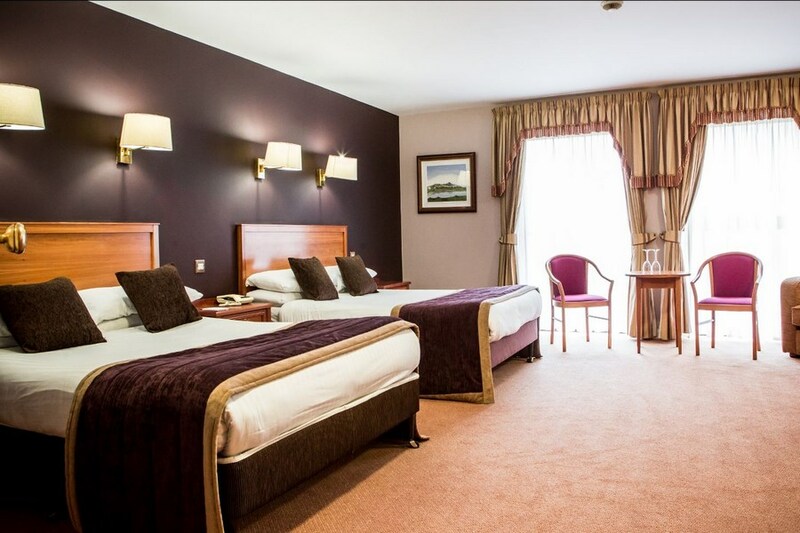 The Hotel was recently refurbished and it is obvious and place is in great condition. Pool was good fun with kids. Staff were very friendly and helpful. Would have given 4 stars but fir a few niggles. Food in restaurant was carvery at best and there were very high supplements for some options. Had Ceasar Salad and bacon was obviously left over from breakfast. Breakfast was standard Irish and decent but let down by stale bread left over from dinner. All in all we really enjoyed our weekend and at these prices it was good value and with a little bit attention to detail could be excellent. Lovely hotel in beautiful surroundings. The double bed in our room was very uncomfortable and hard ..we actually had to sleep in the single beds to get a nights sleep. The food was just OK. Breakfast was cold and served on hot plates. Dinner menu left a lot to be desired ..not a great choice at all. Stayed at hotel for a one night Bed and Breakfast with my husband on 20th June and really enjoyed it. Good food, good service and excellent value for money. We will be back for more of the same before end of the year. Thanks to everyone for a lovely stay. Hotel set in beautiful tranquil setting. Room was spacious for 2 people. The double bed was small and should have been queen or kingsize for a double room. Staff were very friendly and helpful. Breakfast and dinner were acceptable. Swimming pool was a good size. Overall an excellent deal and would definitely stay again. Lovely hotel, great for families, nice pool. Friendly staff. Within walking distance to the town and Westport house. Food could be a bit better.